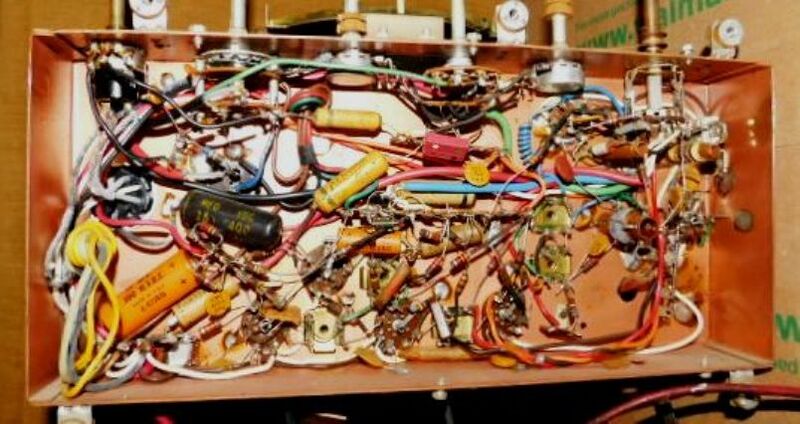 capacitors in the lower voltage sections of the tuner. These are very reliable and rarely need replacement. There are three Electrolytic capacitors here and a couple of the old paper and wax types that will need to be replaced. to do before I'm ready to hook everything up and turn it on.